The secret to learning? Make. It. Fun. So this kit's all about learning to build & code through games. With games, students embrace failure, make their own rules, think critically, and collaborate. Coding is a fundamental 21st century skill. But in the future, knowing code won’t be enough. What you DO with code will be what matters. 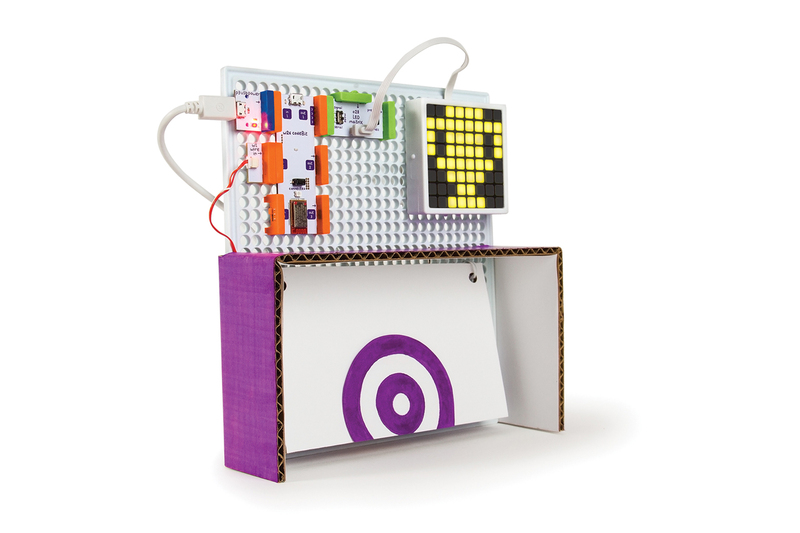 That’s why the littleBits Code Kit was built to facilitate creative problem-solving, combining electronic building blocks with approachable drag-and-drop block programming. It brings coding into the real world, keeps students hyper-engaged as they build and play their own fun games, and gives them a foundation of coding as a creative tool that can power innovative inventions. Students get started inventing four interactive games: tug-of-war, hot potato, ultimate shootout, and rockstar guitar. From there they can customize the code, and even create new, unique inventions and games. During gameplay, students develop coding & engineering skills as they embrace failure, think critically, make their own rules, and collaborate. Plus, the kit was co-designed with teachers, for teachers. This ensures it’s easy to integrate into any curriculum, makerspace, or library, and aligns to Next Generation Science Standards & Computer Science Standards. 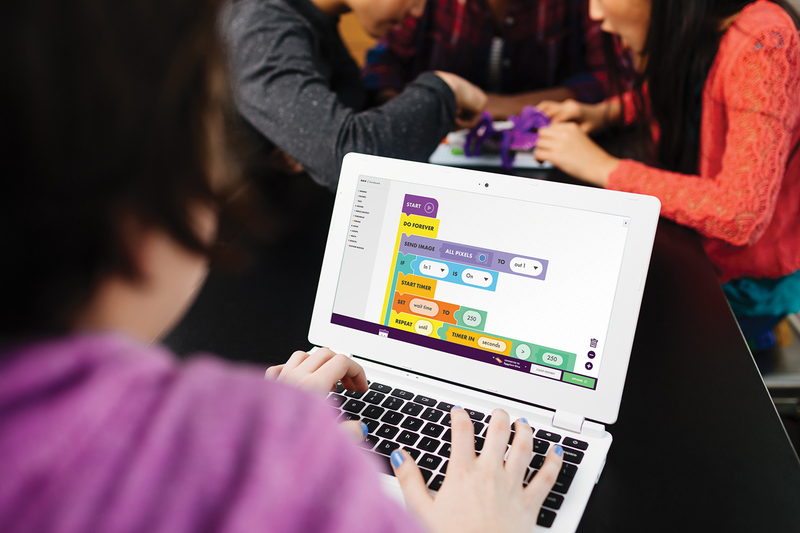 The littleBits Code Kit is the simple solution to education’s need for a coding program in a box. It’s packed with everything necessary to bring fun, engaging learning to the classroom - even for educators with no prior STEM/STEAM experience. 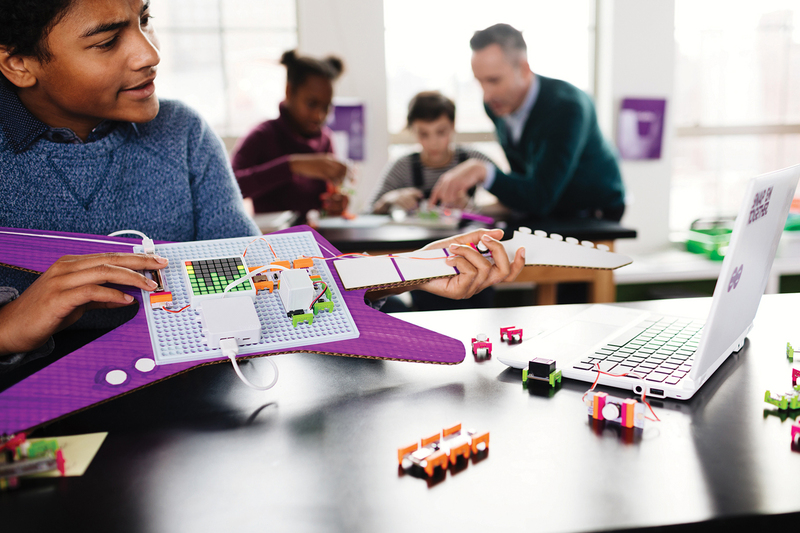 The kit comes with 16 Bits, 30+ accessories and student/teacher getting-started guides, plus tons of digital resources including videos, tutorials, shareable online docs, and the computer-based littleBits Code Kit App with step-by-step invention instructions, coding tutorials, and more. 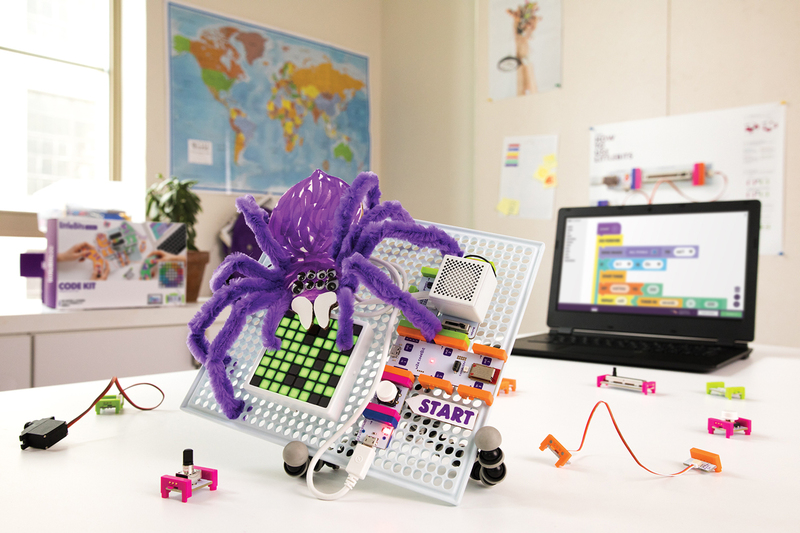 Weiterführende Links zu "littleBits Code Kit"
Weitere Info "littleBits Code Kit"
Even educators with no prior STEAM experience are set up for success with endless resources. Building and coding games students actually want to play makes learning relevant and enjoyable. Students embrace failure, think critically, make their own rules, and collaborate while playing & coding games. The kit aligns with NGSS & Computer Science standards and can be folded into any curriculum or makerspace. Bring coding into any makerspace or class - from art to math to STEM/STEAM - with 100+ activities and lessons. 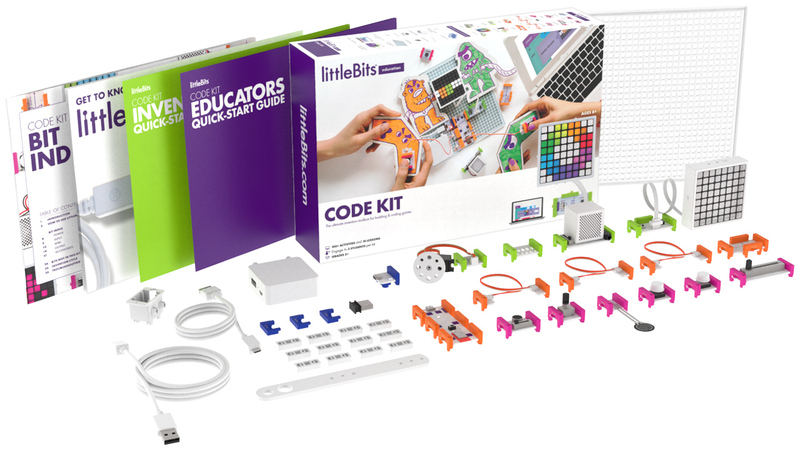 Software Apps/Umgebungen "littleBits Code Kit"
Available on Mac OSX 10.10 or above. Available on Windows 10, Windows 8, and Windows 7. More information here. Available in the Chrome Web Store for Chrome OS version 50 or above. 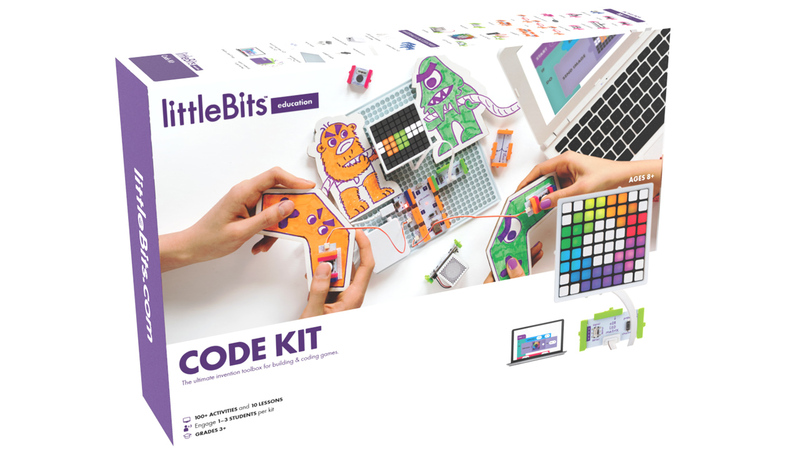 Kundenbewertungen für "littleBits Code Kit"